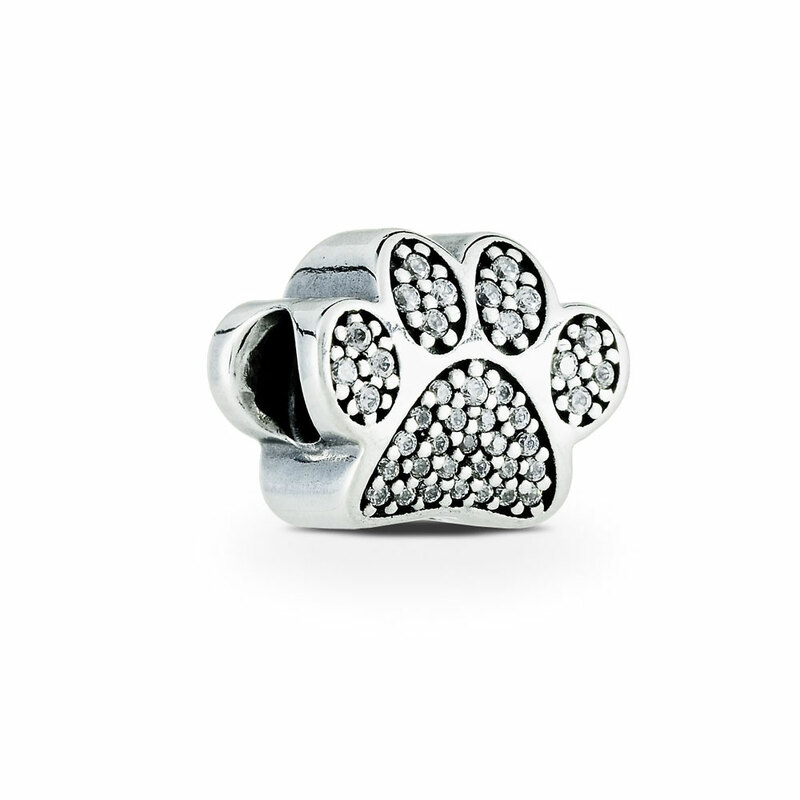 This sparkling sterling silver charm has been carefully crafted to resemble the cute paws of your beloved pup. The perfect gift for a dog lover.This item is a single charm only. Bracelets sold seperately. Styling images may show this charm on a bracelet as styling inspiration. Dog Paw Print Silver Charm is rated 4.8 out of 5 by 42. Rated 5 out of 5 by MacAdoo from Memories I bought this for myself in memory of my best friend, Mac. Rated 5 out of 5 by Jac09 from So special This is one of my most special charms on my bracelet. My parents gifted me this charm when i lost my best friend of 13 years. I think of him every time i look down at it. Rated 5 out of 5 by Shell2468 from Beautiful charm! Rec'd the paw print Pandora charm and it's as pretty as shown in pics. It was delivered quickly and packaged nicely! Rated 5 out of 5 by bstarrh from Love it! I bought this as a birthday gift for myself after having adopted a dog not too long ago.. It looks exactly like the picture and was nothing less than expected. Rated 5 out of 5 by Kdf22 from Great Charm! My wife really loves this charm...perfect addition to her bracelet! Rated 5 out of 5 by MrsRick81 from Love this one! I'm am animal lover, so this one is perfect for me!